Surfers and other outdoor adventurers flock to Oahu’s North Shore, less than an hour from Honolulu, Hawaii. When they get hungry, they eat at food trucks. 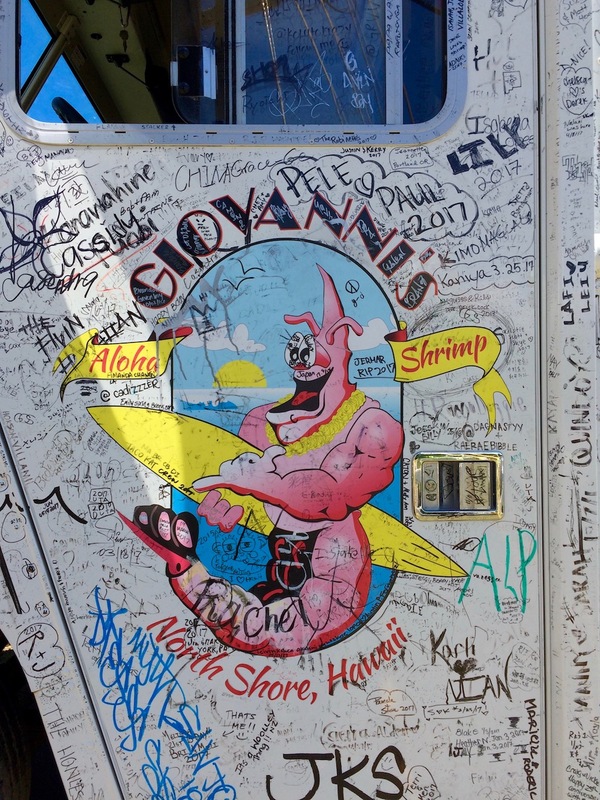 The island’s most famous is Giovanni’s Shrimp Truck, founded in 1993 and now parked in two spots along the Kamehameha Highway. You’ll know you’ve found the right place when you spot the big white vehicle graffitied with thousands of signatures, notes, and doodles. Waltz up to the truck window and place your order. The options include garlicky shrimp scampi, lemon-butter shrimp, and the “no refunds” hot & spicy shrimp (our favorite). Each plate comes with a dozen jumbo shrimp and two scoops of rice for $14. Half-portions are available for half-price. If you’re visiting with friends who don’t eat seafood, send them to another food truck nearby: We recommend the Korean barbecue/Hawaiian mashups at Kalbi on Fire in Kahuku. And for dessert: a tropical shave ice from Matsumoto’s, another island icon. The lilikoi-guava-papaya combo is win-win-win. 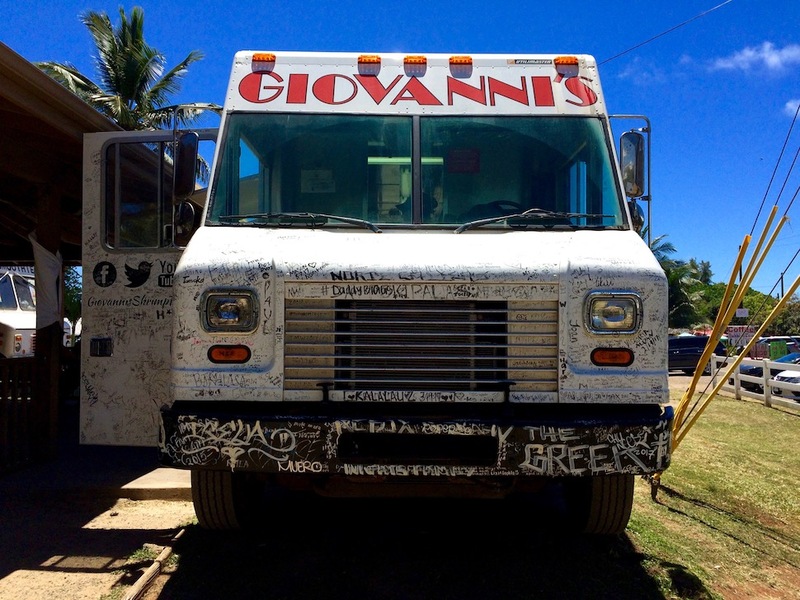 Giovanni’s Haleiwa truck is open daily from 10:30 a.m. to 5 p.m. 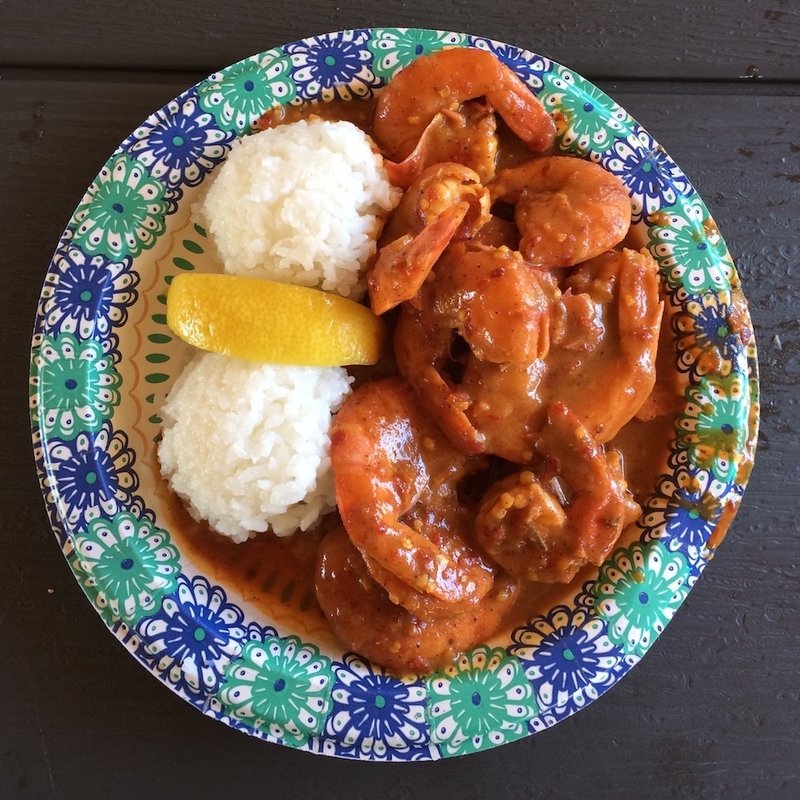 The Kahuku truck is open 10:30 a.m. to 6:30 p.m.
66-472 Kamehameha Hwy, Haleiwa, Oahu, HI; 808-293-1839. 56-505 Kamehameha Hwy, Kahuku, Oahu, HI; 808-293-1839.